I use Plesk for management of my web servers. It saves me a lot of time and makes managing several (Linux) web servers a piece of cake. Those web servers are running on virtual servers and I wanted an overview of the usage and the performance. I decided to use the API’s of New Relic because I already had a great experience and noticed that there was a Plesk extension for it. That is the number between accounts/ and /applications. First is the license key (step 2), the server name is the name of your server (of something to identify it) and the account ID is the number you wrote down. Choose to install Servers (this will install the appropriate client on the server for monitoring purposes) and click ok.
After some time, go to the New Relic tab, choose the servers menu and notice your server! You notice the green square. Your server is in a healthy state. You notice the CPU, memory and disk statistics. Now let’s click on your server. Wow! In one single overview you have all the necessary information you need. Is your website performing badly? At what time? Was it the CPU or memory? 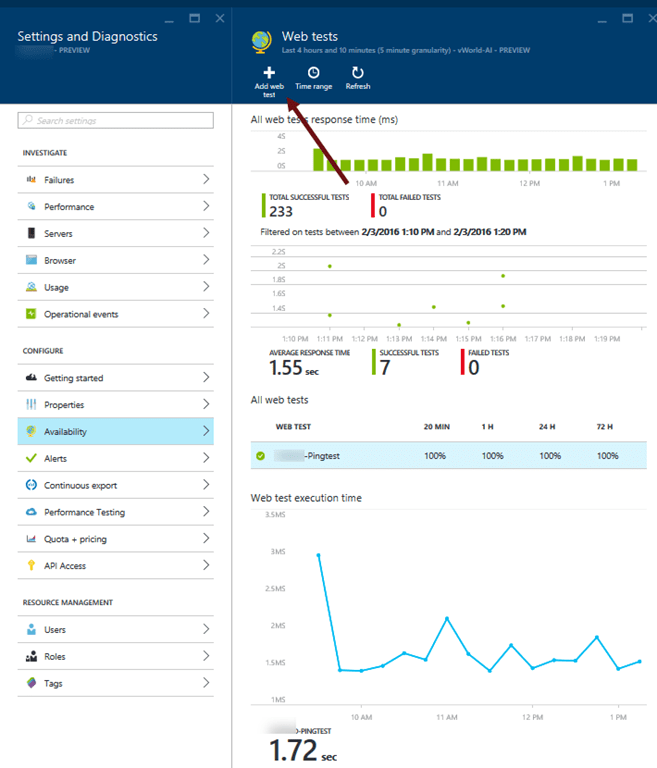 When you are using Plesk for management for your server, the New Relic extension is a great way to monitor your servers. It’s very easy to configure and it gives you lot of information. You can use all the server features at no costs! All of the above is free and you receive no commercials or SPAM. In this blog post I describe how you easily can monitor the performance and the availability of a website. 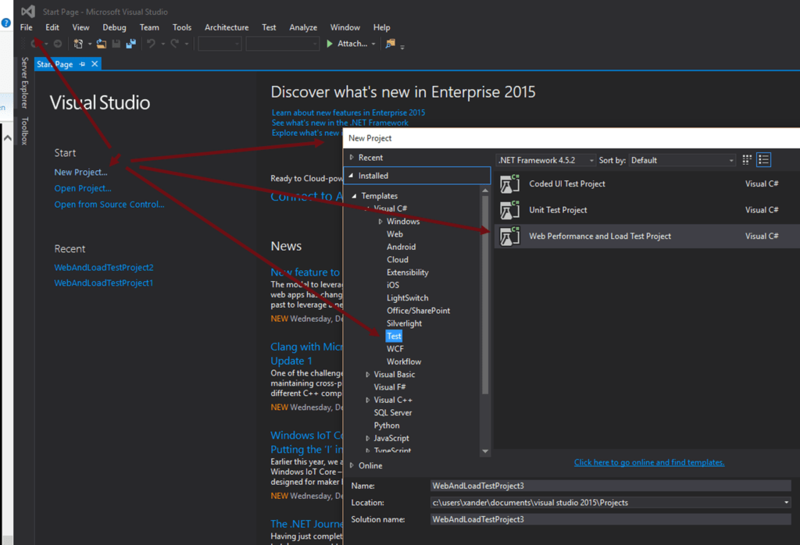 You need an Azure (trial-) account and Visual Studio Enterprise (or Ultimate). There are multiple options, but in this post I describe the URL ping test and the Multi-step web test. The ping test is an easy way to start. 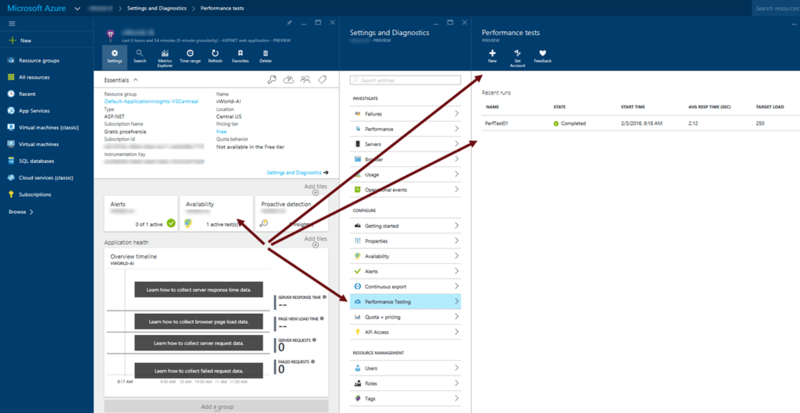 From 5 multiple locations all over the world Azure send an ping to the specified website. 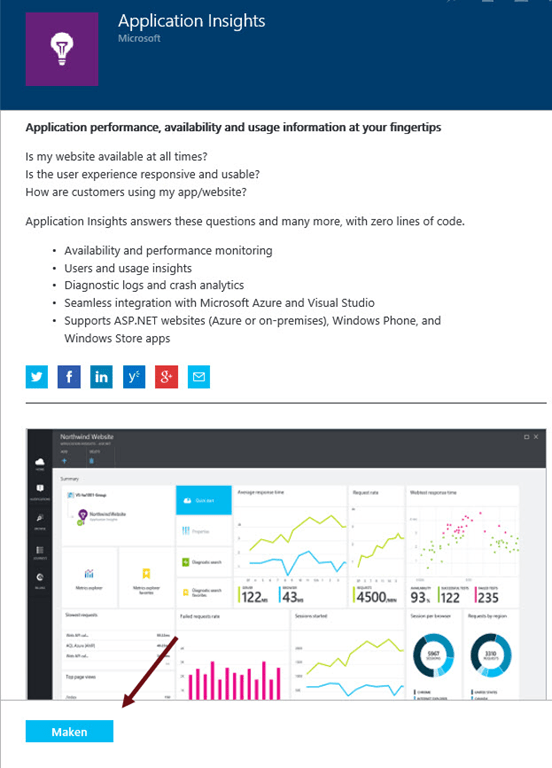 Go to your Application Insight Resource and Add a web test. Specify a name, the URL ping test type and the test frequency. Make sure you add the http prefix to the url specification. When you are ready wait when the test has been completed (this can take some time) go to your Application Insight Resource Tile. Click the Availability Tile and check your results. 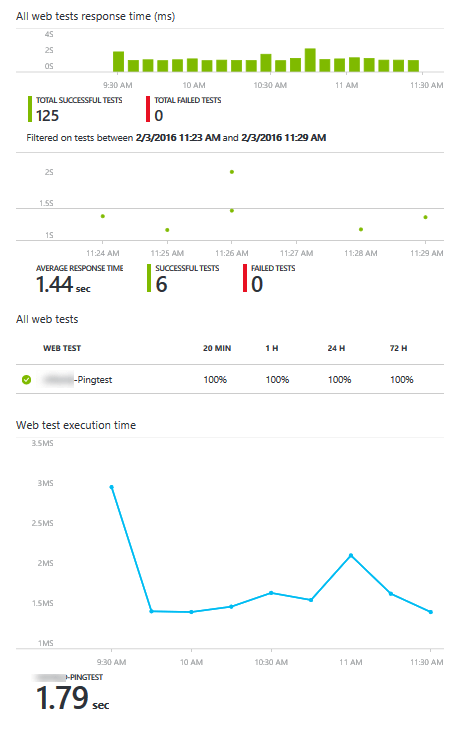 See the above example for the number of tests and the performance. Choose a unique name and create a new project. Select the .webtest file and click the red record button. Record the actions you wish to test and click stop when you’re finished. Fill in the webtest name and upload the .webtest file. All done. 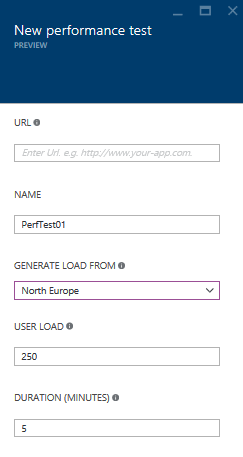 Now watch your Azure portal and see the new test appearing.